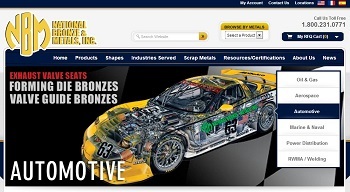 Founded in 1983, National Bronze & Metals, Inc. (NBM) is one of the United States leading manufacturers and master distributors of brass, bronze, and copper alloys. Currently, we supply over one hundred different copper alloys from stock with many other bronze alloys made to order to meet the exact requirements and demands of our customers. Our headquarters and main distribution center is centrally located in Houston, Texas. Whilst our continuous cast foundry and Midwestern distribution center is located in Lorain, Ohio (near Cleveland).